any insurance premium paid (whether as owner or tenant) in respect of insurance against risk of damage or destruction of the premises. any insurance premium paid in respect of insurance against risk of damage or destruction of the plant and machinery or furniture. The asset should be owned by the assessee. Where, however, an assessee carries on business or profession in a building not owned by him but taken on lease, he is entitled to depreciation in respect of the capital expenditure incurred by him after March 31, 1970 on the construction of any structure or any work in relation to the building by way of improvement, renovation or extension. The asset, in respect of which depreciation is claimed, must have been used for the purpose of business. Where, however, the asset is partly used for business or profession and partly used for private and personal purposes, a reasonable proportion of the depreciation attributable to the business user of the asset is allowed [Section 38]. Intangible Assets acquired after Markch 31, 1998. - Know-how, patents, copyrights, trademarks, licences, franchises or any other business or commercial rights of similar nature. Additional investment allowance is available from the assessment year 2016-17 under section 32AD. Accordingly, if an undertaking is set up in the notified backward areas in Andhra Pradesh, Bihar, Telangana and West Bengal by a company, it shall be eligible to claim deduction under section 32AD if it fulfils the conditions specified under section 32AD. The assessee may be a company or any other person. He/it sets up an undertaking/enterprise for manufacture or production of any article or thing on or after April 1, 2015. Such undertaking must be set up in any backward area (notified by the Central Government) in Andhra Pradesh, Bihar, Telangana and West Bengal. He/it acquires and installs (for the purposes said undertaking) a “new asset”. “New asset” for this purpose is a new plant or machinery. But it does not include second hand machinery, machinery installed in office/ residential accommodation/guest house, vehicle, ship or aircraft or any plant and machinery, the whole of the actual cost of which is allowed as deduction (whether by way of depreciation or otherwise) in computing business income of any previous year. The new asset should be acquired and installed after March 31, 2015 but before April 1, 2020. Both ‘acquisition’ and ‘installation’ of the new asset (i.e., new plant and machinery) are required to be made after March 31, 2015 but before April 1, 2020. If the above conditions are satisfied, investment allowance under section 32AD is 15 % of actual cost of “new asset”. It is available in the year in which the new asset is installed. the assessee must get its accounts audited by a Chartered Accountant and furnish the report of such audit in Form No. 3AC, along with the return of income. The Profits are to be computed before making any deduction under this i.e. section 33AB and before making adjustment for brought forward losses u/s 72 but after making deduction of current year depreciation. The assessee is carrying on business consisting of prospecting for or extraction or production of petroleum or natural gas or both in India and in relation to which the Central Government has entered into an agreement with such assessee for such business. deposited any amount in the Site Restoration Account opened by the assessee in accordance with, and for the purpose specified in a scheme framed by the aforesaid Ministry. This scheme is known as Deposit Scheme. 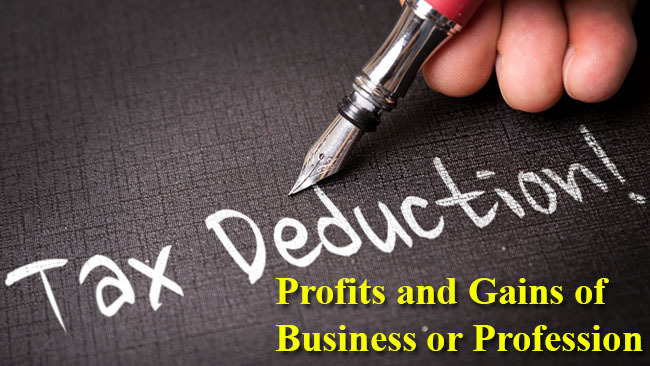 The profits are to be computed before making any deduction under this section i.e. section 33ABA and before making adjustment for brought forward losses u/s 72. Any capital expenditure incurred and “actually paid” by an assessee on the acquisition of any right to use spectrum for telecommunication services by paying spectrum fee will be allowed as a deduction in equal instalments over the period for which the right to use spectrum remains in force. 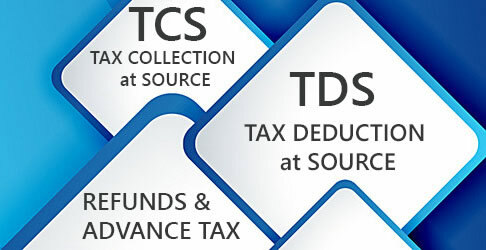 Deduction will be available starting from the year in which actual payment is made (or the year of commencement of business, whichever is later) and ending with the year when spectrum comes to an end, irrespective of the previous year in which the liability for the expenditure was incurred according to the method of accounting regularly employed by the assessee or payable in such manner as may be prescribed. Where the spectrum is transferred and proceeds of the transfer are less than the expenditure remaining unallowed, a deduction equal to the expenditure remaining unallowed as reduced by the proceeds of transfer, shall be allowed in the previous year in which the spectrum has been transferred. If the spectrum is transferred and proceeds of the transfer exceed the amount of expenditure remaining unallowed, the excess amount shall be chargeable to tax as profits and gains of business in the previous year in which the spectrum has been transferred. Unallowed expenses in a case where a part of the spectrum is transferred would be amortised. [from the assessment year 2021-22, an assessee can claim 100 % of expenditure as deduction (but not weighted deduction)]. Project shall be undertaken by an assessee for training, education and guidance of farmers. Project shall have prior approval of the Ministry of Agriculture. Expenditure (not being cost of land/building) exceeding Rs. 25 lakh is expected to be incurred for the project. For getting approval for the purpose of claiming weighted deduction under section 35CCC, an application in Form No. 3C-O should be submitted to the Member (IT), CBDT. approving letter of Ministry of Agriculture. A company engaged in manufacture/ production of any article/thing (not being alcoholic spirits and tobacco products) or a company engaged in providing specified services (31 services have been notified for this purpose) can claim the benefit of weighted deduction under section 35CCD. Expenditure should be incurred on notified skill development project. The project should be undertaken in separate facilities in a training institute set up by Government, local authority or in an institute affiliated to National Council for Vocational Training or State Council for Vocational Training. For the purpose of claiming weighted deduction, an application should be submitted in Form No. 3CQ to National Skill Development Agency (NSDA). A copy of Form No. 3CQ should be sent to the Commissioner of Income-tax. Form No. 3CQ to be accompanied by detailed note on skill development project, expected expenditure and expected completion date, letter of concurrence from the training institute. Where an assessee, being an Indian company, incurs any expenditure, wholly and exclusively for the purpose of amalgamation or demerger of an undertaking, the assessee shall be allowed a deduction of an amount equal to 1/5th of such expenditure for each of 5 (five) successive previous years beginning with the previous year in which the amalgamation or demerger takes place. No deduction shall be allowed in respect of the expenditure mentioned above under any other provision of the Act. Where an assessee incurs any expenditure in any previous year by way of payment of any sum to an employee in connection with his voluntary retirement, in accordance with any scheme or schemes of voluntary retirement, 1/5th of the amount so paid shall be deducted in computing the profits and gains of the business for that previous year, and the balance shall be deducted in equal instalments for each of the four immediately succeeding previous years. No deduction shall be allowed in respect of such expenditure under any other provision of the Income-tax Act. 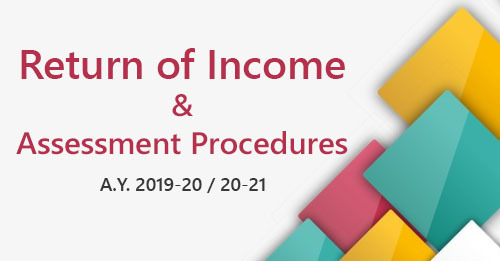 The above rule is applicable even if the scheme of voluntary retirement has not been framed in accordance with guidelines prescribed under section 10(10C). Where voluntary retirement payment is made by predecessor and before completion of 5 years it is succeeded in a scheme of business reorganization (like amalgamation/merger of Indian companies or co-operative banks, conversion of firm/proprietary concern/private or unlisted company into company/LLP), the deduction for the remaining years will be available to the successor from the year in which the conversion takes place. Any expenditure (not being expenditure of the nature described in Sections 30 to 36) and not being in the nature of capital expenditure or personal expenditure of the assessee, laid out or expended wholly and exclusively for the purposes of the business or profession, shall be allowed as deduction in computing the income chargeable under the Head "Profits and Gains of Business or Profession". For the purpose of business. 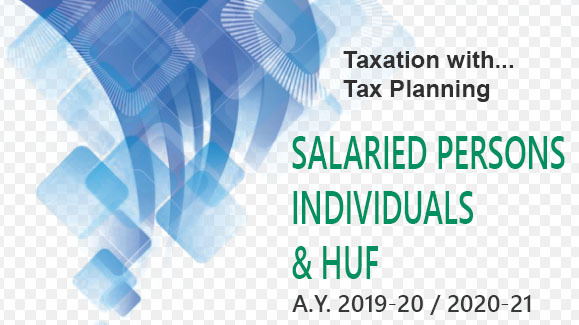 Salary and perquisites paid to the employees of the assessee are allowable as a deduction. Salary paid by a firm to its partners is allowed as deduction subject to certain limits and conditions. Penalty is normally levied for breach of law and are, therefore, generally not allowable as deduction. However, at times an amount though termed as penalty, is purely compensatory in nature. For example, damages, penalty or interest paid for delay in completion of a contract, though termed as penalty are really in the nature of a compensatory payment and are therefore, allowable as a deduction. However, penalties paid to customs authorities, sales-tax authorities, income-tax authorities, etc for infringement of law are not allowed. Levy for failure to pay sales tax within time is partly compensatory and partly penal, compensatory part is allowable and penal part is disallowable. All legal expenses, incurred in connection with the business or profession of the assessee, are allowable, irrespective of the result of the legal proceedings. However, legal expenses on criminal prosecution are not deductible, as they are not incidental to the business or profession. Expenses of various types incurred in connection with raising of loans, for the purposes of the business, are allowable as a deduction. Therefore, legal charges for obtaining the loans from financial institutions, legal charges for drafting various deeds, brokerage paid for raising loans, stamp and registration charges, shall be allowed as deduction. any amount paid 'in lieu of interest' in compromising a dispute with a trade creditor. Any expenditure incurred during the previous year on advertisement for the purpose of business and profession shall be allowed as deduction. Expenditure incurred for sports tournaments organised, which directly result in publicity and advertisement of the assessee and its products, qualify for deduction. Payment to Registrar of Companies: The fee paid to the Registrar of Companies are in connection with the company's legal obligations to be discharged under the Company law and are an essential part of the company's business activities and are therefore, allowed. Annual listing fee: Annual listing fee paid to a stock exchange is allowable. Professional tax by the business assessee.